The Costa del Sol can sometimes conjure images of lobster faced Brits, drunken hen and stag parties and the particularly boisterous tourists! 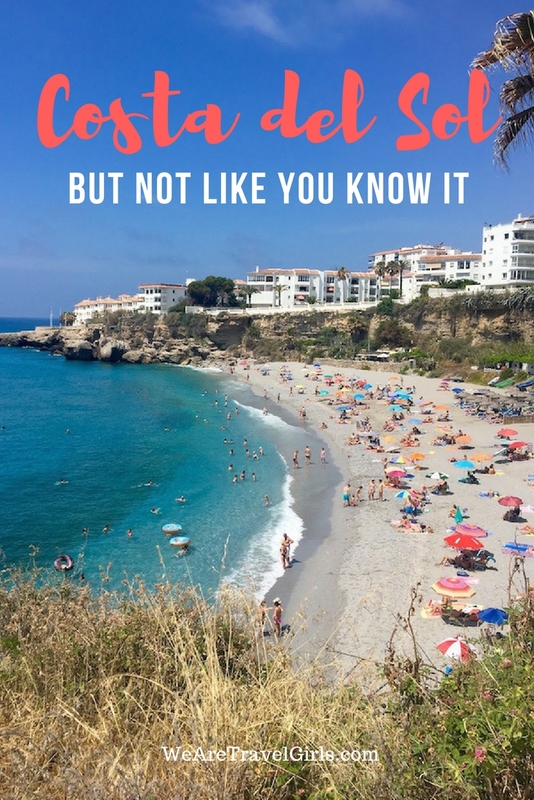 This is not the case in the beautiful Nerja, the Eastern edge of the Costa del Sol, far removed from its neighbours like Torremolinos and Marbella. Don’t get me wrong, there are plenty of tourists. Why wouldn’t there be in such a pretty area of Spain? But the town manages to retain a sense of tradition and many Spanish voices can be heard amongst the plethora of foreign languages. 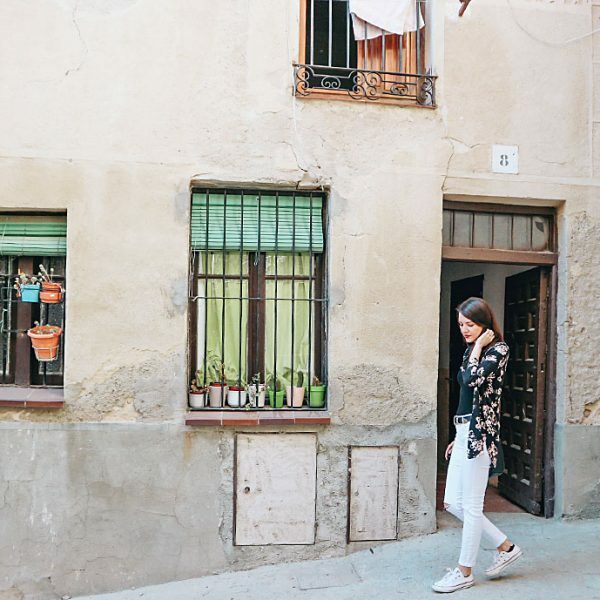 Andalucía is lucky enough to have a year round pleasant climate, which lends itself to 365 days of tourist friendly holidays. Like any other Mediterranean town the height of summer is best avoided wherever possible in order to stay clear of the crowds, which makes June and September ideal months to enjoy the sun, sand and sea. 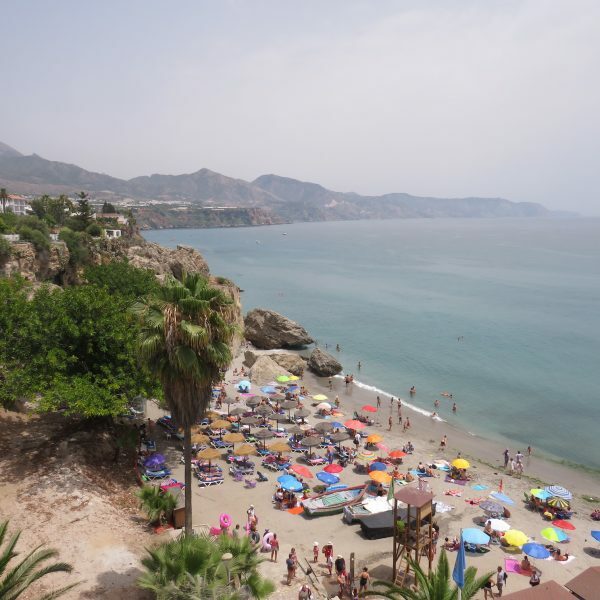 Nerja town has a multitude of beaches dotted along the coast, Burriana beach being the biggest and most famous. 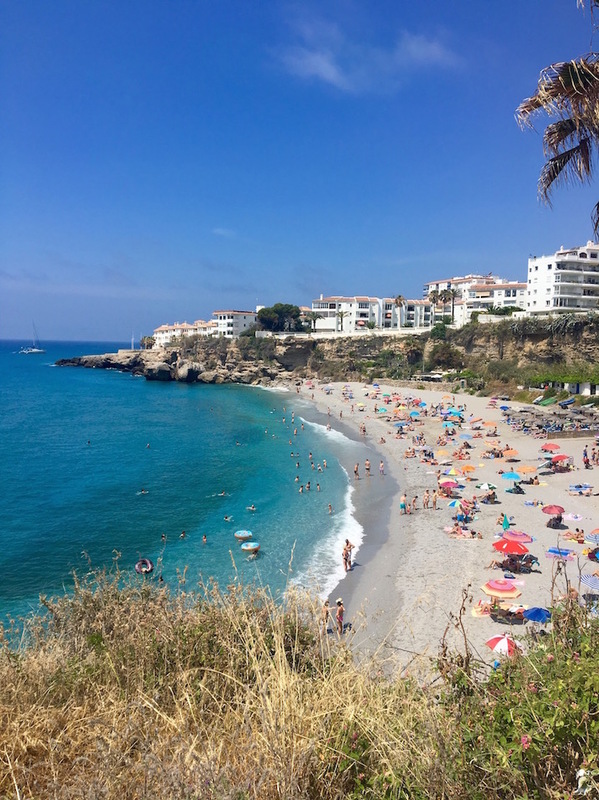 However, the smaller beaches such as Playa del Salon is perfectly sized and practically hidden away, yet only minutes from the central square below the Balcon de Europa. There are many boutique shops where you can pass the time before or after an evening meal, for the shoe lovers, there are some especially good shoe shops! The local bus service is a fantastic and cheap way of getting around and very easy to use. 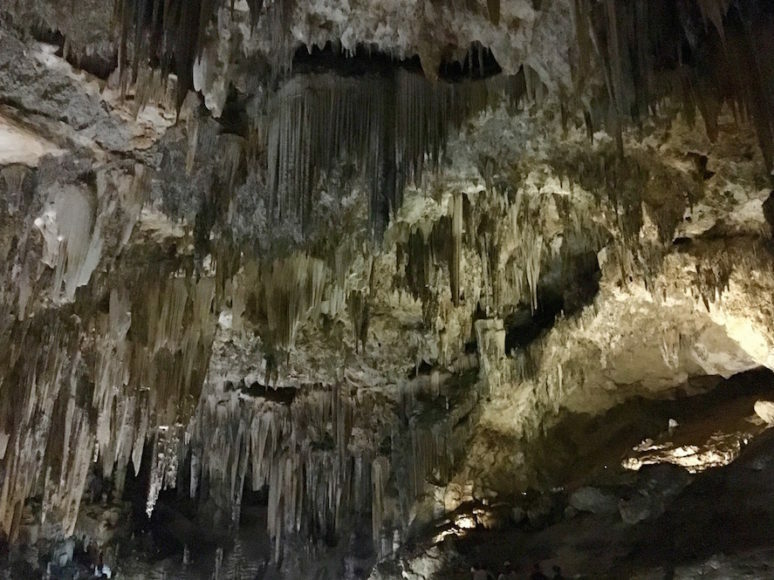 If you venture a short 15 minutes out-of-town you will find the 3rd most visited tourist attraction in Spain, Las Cuevas de Maro (the caves of Maro, to you and me) I had my reservations when I visited but I was astonished by the scale of the caves and they are definitely worth a visit. You will get an audio guide included in the entrance fee which has some interesting information regarding the caves. 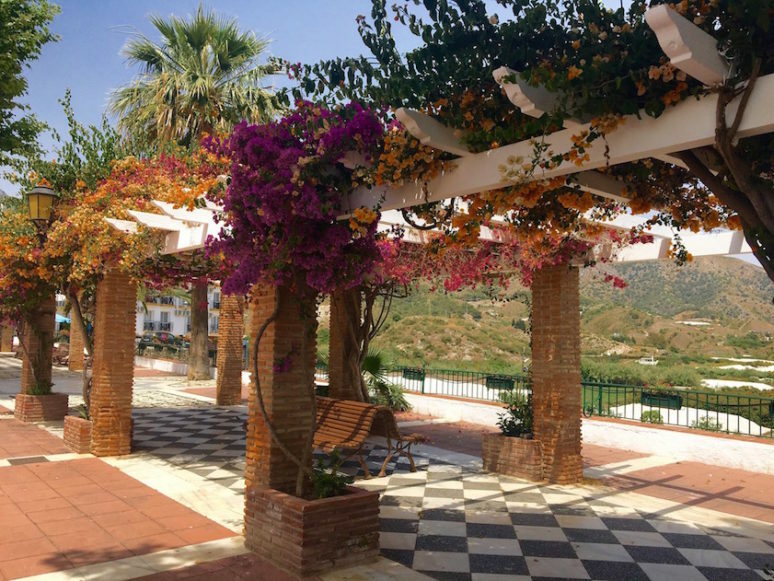 Afterwards you can stroll down into Maro itself, have a drink in the Balcon de Maro Bar and enjoy the views. Maro also has a couple of beaches, one is a nudist beach though so chose carefully! Travel 15 minutes in the opposite direction and you will find yourself in the hills that surround Nerja. 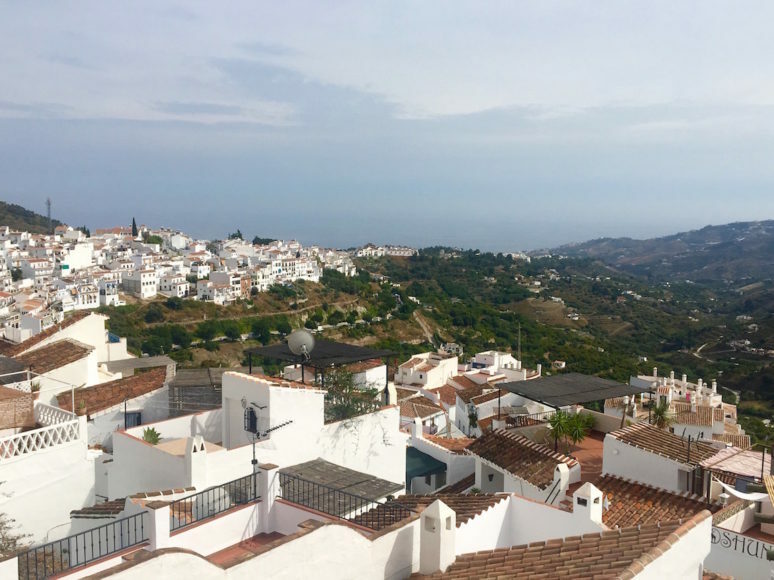 Frigiliana hilltop village is one of the prettiest places I have visited and is a must see when staying in this part of Andalucía. It has previously been awarded most beautiful village in Spain several times and it is clear to see why. 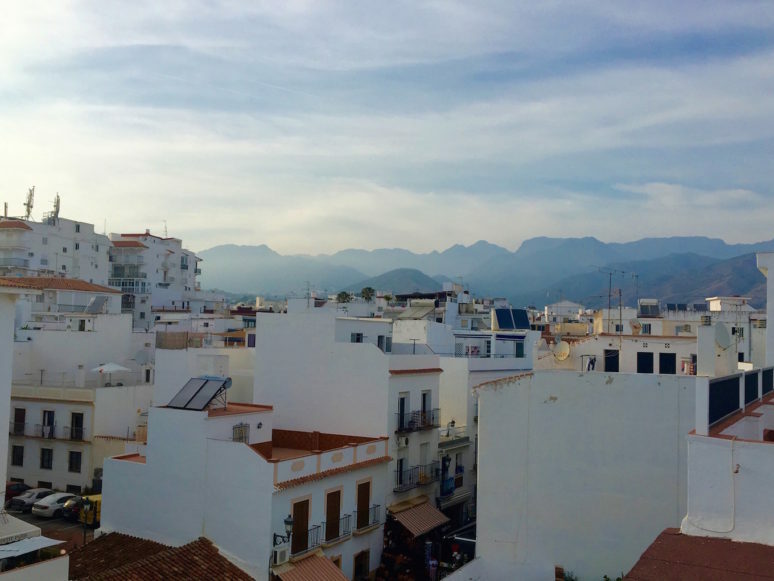 White washed houses, magnificent views of the mountains and on a clear day you can see all the way down to the sea. One of the highlights of my trip was sampling the local cuisine. There are two different ways to eat in Nerja. First of all you can enjoy one of the many restaurants the town has to offer and trust me, you will not be disappointed. I can recommend Maria Bonita in particular. 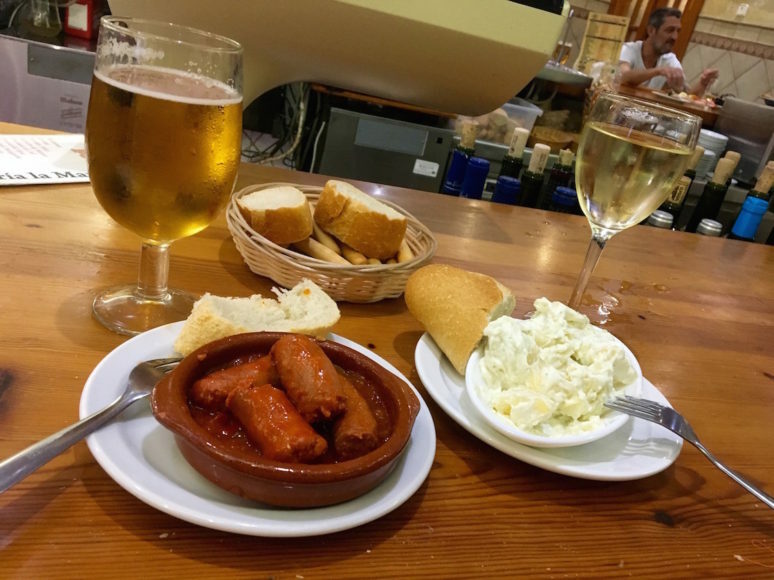 The local bars often have the tapas on display or they might give you a small menu to choose from. 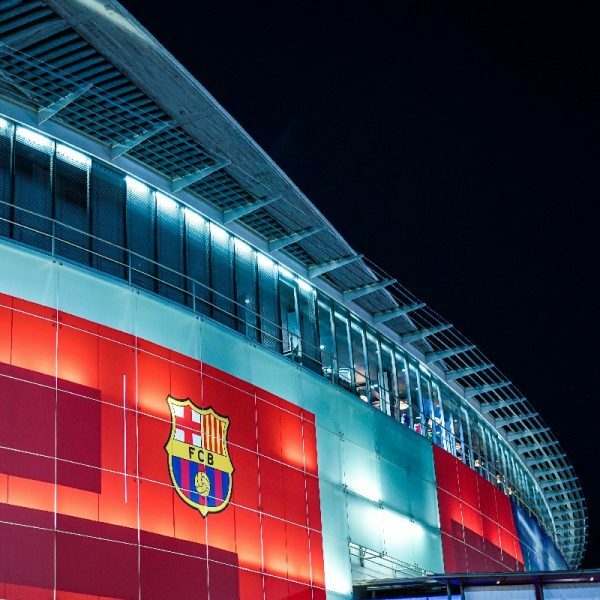 This is a fantastic way to get involved in the local culture and lifestyle, it might be a bit daunting at first being surrounded by Spanish but trust me it is well worth it. Check out La Marina Marisqueria for some amazing seafood dishes. One last thing, be sure to hunt down restaurant El Mirador when you visit Frigiliana for the best Mojito you will ever taste, not to mention the stunning views! 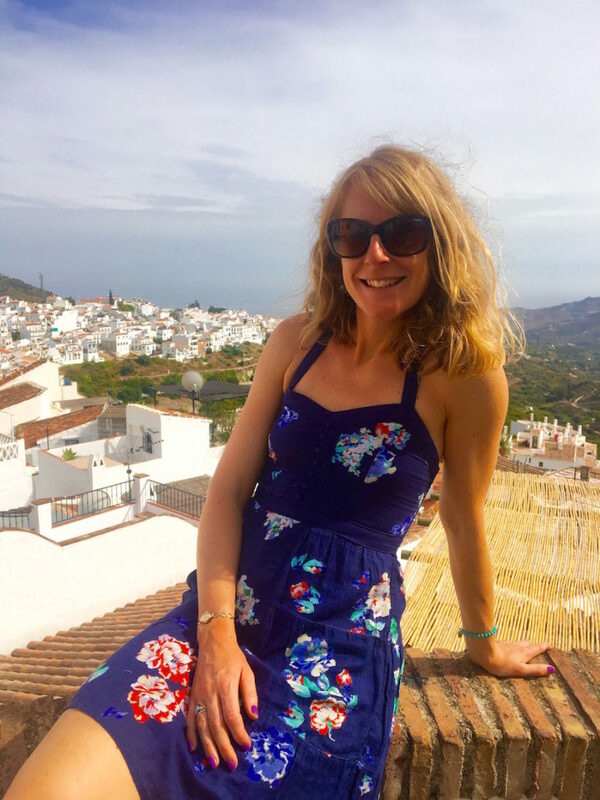 I hope I have convinced you to visit Andalucía and in particular Nerja. I fell in love with the place and I hope you do too.